In October 1962, Human Civilization Came Close to Being Destroyed. In October 1962, human civilization came close to being destroyed. 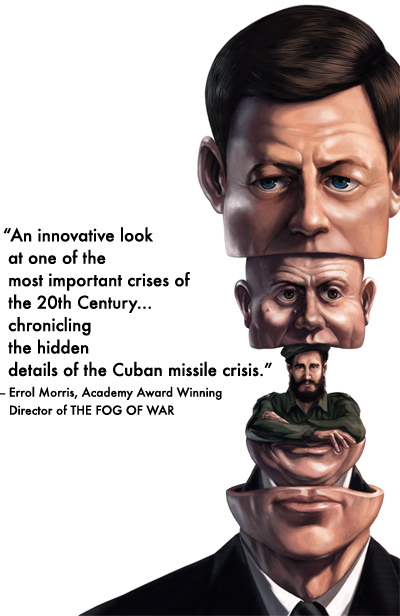 During the Cuban missile crisis, all the pieces were in place—the weapons and warheads were ready to fire all over the world; secretly deployed tactical nuclear weapons were prepared to incinerate invading U.S. troops on the north coast of Cuba; fear of holocaust gripped the White House and Kremlin; while in Cuba, Soviet and Cuban troops prepared for what they believed was their last battle, confident that Armageddon would begin on the island and that, in retaliation, Moscow would destroy the United States of America “once and forever,” as Fidel Castro wrote to Nikita Khrushchev on 26 October. Much of the data supporting the claim that the world nearly ended in October 1962 derives from our research, and that of our team, over the last quarter century. Armageddon might have occurred if leaders in Washington and Moscow hadn’t stopped in their tracks, turned around 180 degrees and raced away from the brink in a panic at the foreshadowed doomsday. Armageddon was also avoided because Castro agreed, with profound reluctance, to allow the Soviets to remove the weapons from the island—as had been agreed to independently by Kennedy and Khrushchev—weapons that Castro believed constituted the Cuban Revolution’s last, best hope for survival in the face of unrelenting American hostility. 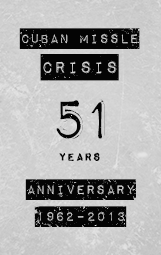 The Armageddon Letters – a transmedia project (multiplatform storytelling) launched on the occasion of the 50th anniversary of the Cuban missile crisis – takes visitors behind the scenes during the October 1962 Cuban missile crisis, the most dangerous crisis in recorded history. Painstakingly researched and historically significant, The Armageddon Letters represents the first major academic project that adopts a transmedia model. The project is led by the scholars and filmmakers that were involved in the Academy Award-winning documentary, THE FOG OF WAR, and the Golden Palm Award-winning, VIRTUAL JFK. Did you hear the one about the American, Cuban, and Soviet? The Armageddon Letters refers to the unprecedented exchange of letters and other communications among Kennedy, Khrushchev and Castro, before, during and after the crisis. You can now follow the launch of our sister project @JFKsBackbone. Check out the series as they're released! Order it Today 30% DISCOUNT! Watch the award-winning animation + live-action shorts! Listen to Professors James Blight + janet Lang while you iron your clothes! JFK / Khrushchev / Castro are blogging in 1962! Has JFK seen X-Men: First Class? Ask him!